Our muscles are constantly working. They have a full-time job throughout our bodies. Muscle aches can be extremely uncomfortable but are a common occurrence post-excersize and physical activity. There are many different options when trying to heal or prevent muscle aches. Here are 12 natural remedies to relax your muscles. There are many different aspects that play into Ayurveda. Some people think that your dosha types are the only main parts when in reality there are many different areas that can provide health benefits and wisdom to your personal circumstance. Whether you are looking to find a healthier lifestyle or are trying to create a better routine, here are 10 areas of Ayurveda that you might not have known about! If youve heard of Ayurveda, you probably think of vata, pitta and kapha  your dosha type. Doshas are central to the personalised approach to wellness in Ayurveda, but there are also so many nuggets of wellness wisdom to benefit from. Ayurveda takes a totally personalised approach to health and wellness. Ayurveda is a person-centred and not a disease-centred system of health. Each person is born with a unique constitution (dosha type) and the aim is to stay as closely in balance to this as possible. 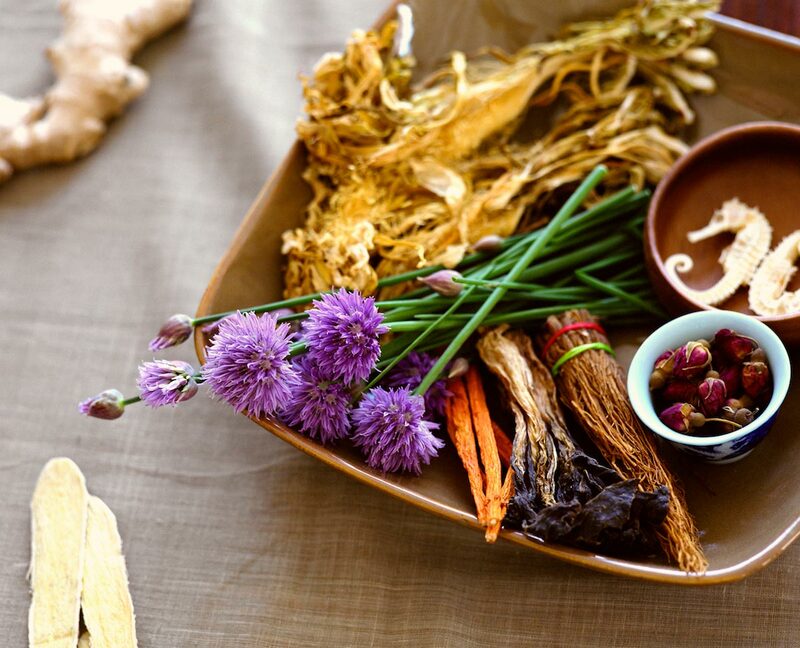 Ayurveda uses herbs as an integral part of a holistic approach to wellness alongside diet, nutrition, lifestyle, exercise, yoga, meditation, breathing, cleansing and rejuvenation processes. An Ayurvedic practitioner is a health detective looking for all the visible and invisible signs and symptoms of whats going on inside your body. Your body leaves many imprints – in your eyes, pulse, skin, tongue, nails etc. and by recognising imbalances, we can prevent health issues from arising. Ayurveda is totally practical in its application. By understanding the impact of the taste and qualities of every substance, you can make choices about what foods, herbs and spices can heal you and what can imbalance your doshas. I really encourage you to start listening to and trusting your intuition  its often your best guide. No Ayurvedic journey starts without a thorough examination of your gut health. You are what you eat but you are also what you dont digest. Most health conditions start from a compromised digestion that allow toxins to accumulate. Fruits digest very differently in your system to any other foods so Ayurveda recommends that you avoid incompatible food combinations. These can include: cheese and grapes/apples, berries and yoghurt, strawberry cheesecake, melon and Parma ham to name a few. Sleep is the bedrock of wellness. During your resting hours, your body is working hard to repair, replenish and rejuvenate every cell of your body. Late nights, too little sleep, disturbed sleep, too much sleep, sleeping immediately after food all disturb the doshas and trigger stress in the body leading to health issues. Ayurveda is skilfully poised between its ability to treat existing health issues and giving guidelines for a preventative approach to healthcare. Consideration is given to relationships, senses, occupation, environment, seasons, age and more. The aim is to identify and treat the root cause. You have to do well to be well! Ayurveda may be 5000 years old but the knowledge is more relevant today than ever before. We have become far removed from our natural rhythms but when we align our routines, environments, relationships to our body type and nature, we can flourish in wellness. The sun is at its highest point in the day over the lunch period and since your body mirrors nature, your digestion should also be at its strongest point so you so lunch should be the main meal of the day. 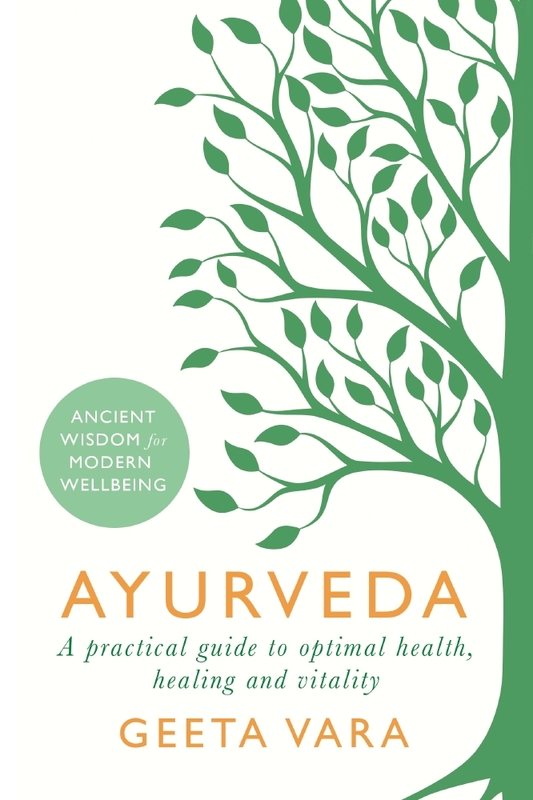 About the Author As the founder of Geeta Vara Ayurveda and the author of Ayurveda: Ancient Wisdom for Modern Wellbeing (Orion Spring, publishing 7 June), practitioner Geeta Vara treats a host of health complaints and helps individuals to understand the root cause so they can start to regain balance primarily through gut health, stress management and dosha balancing. Geetas aim is to help and inspires her clients to be the healthiest version of themselves. If you have never been introduced to ayurvedic medicine it is easy to understand why the terminology and technique are misunderstood. Understanding the health benefits of ayurveda and the associated myths that are stopping individuals from trying this discipline are just a few easy ways to help incorporate it into your life. The combination of winter and spring can really dry out your hands. Nobody enjoys having those rough, cracked hands, and putting excessive lotion on them becomes cumbersome, especially when you forget it at home. Here are 11 home remedies, causes, and treatments to get rid of those dry hands, and have baby smooth skin again. Having a hard time falling asleep or staying asleep throughout the night? Do you feel like you have tried everything and are still coming up short? If you answered ‘yes’ to one or both of those questions, then we might have a solution: ayurvedic remedies! Sleep is extremely important for the body so if you are lacking sleep you should try one of the suggestions in the article below. The significance of a good night’s sleep should not be discounted. Sleep is important for the body to recover and get ready for the following day. It is also the only time when the brain is given some time off to take proper rest. Experts suggest that our sleep cycle is divided into many stages and for a person to go through all these stages is extremely important. On an average, every person should get at least 8 hours of sleep in a day, contrary to which researches report most people barely touch the recommended hours of sleep every night. – Try warm milk just before turning in. Add a pinch of nutmeg, some cardamom and crushed almonds. – “Try garlic milk. Mix together 1 cup of milk, 1/4 cup water, and 1 clove of fresh, chopped garlic. Boil until 1 cup liquid remains. Consume. – Regular consumption of cherries has also been linked to inducing good sleep. – You can also try consuming a cup of fresh tomato juice with 2 teaspoons of sugar and a pinch of nutmeg. Consume this around 4-5pm in the noon and have an early dinner. Tips and remedies are sourced from Vasant Lad’s The Complete Book of Ayurveda Remedies. Are You Drinking Your Water the Ayurvedic Way? Water is crucial to the body’s functioning and homeostasis. There are different opinions out there on how much water you are supposed to drink everyday. Did you know, however, that there are ayurvedic suggestions on how and when to consume water? Learn what they are in the article below and try practicing them yourself. 4. It is best to drink when you are feeling thirsty. When you listen to thirst cues and sip water throughout the day youll be drinking the right amount. 8. Normally the minimum gap between food and water should be between 1.5 to 2.5 hrs. Though it may vary according to different geographic locations, as the bodys ability to digest food depends on external factors like the outside temperature. Why Shouldnt You Drink Water After Meal According To Ayurveda? Ayurveda strictly prohibits drinking water at the end of a meal as it kills the energy required by our digestive system to process the ingested food. This allows the food to remain in our system for longer duration which may cause the food to rot inside our system, instead of getting digested, which may lead to the formation of gas and acidity problems. /wp-content/uploads/2017/10/LotusLogo.png 0 0 Sharmane Soloman /wp-content/uploads/2017/10/LotusLogo.png Sharmane Soloman2017-04-25 15:38:212017-04-25 15:38:21Are You Drinking Your Water the Ayurvedic Way? Practicing Ayurveda and yoga together is very beneficial because it encourages more wellness and natural healing than done just one thing alone. Now that it feels like spring, why not try to incorporate the one you have not been practicing to the one you have already tried? If you follow the Ayurveda healing system, try doing more yoga with the poses before to feel great this spring. The key to true mind-body balance? Understanding your bodys natural needshow to eat, cook, cleanse, and healthrough each season. In our new online course Ayurveda 101, Larissa Hall Carlson, former dean of Kripalus School of Ayurveda, and John Douillard, founder of LifeSpa.com and best-selling author, demystify yogas elemental sister science. Sign up now! Spring cleaning isnt just for your closetsyour yoga practice needs a refresh, too, says Larissa Hall Carlson, co-leader of Yoga Journals new online course, Ayurveda 101. In the cool, rainy days of early spring, its important to light some fire and melt away congestion from excess kapha dosha with fiery, stimulating yoga postures, she explains. Here are three poses Carlson suggests incorporating into your regular practice or favorite sequence this spring. Warm up with 35 rounds of your favorite Sun Salutation, and use a robust Ujjayi pranayama throughout to ensure physical warmth and enhanced mental focus. The inversion of Dolphin Pose is excellent for draining mucus created by excess kapha dosha from the lungs, Carlson says. Its also great for building strength in the arms while opening up the ribcage. Hold for 610 long, deep breaths. Learn how to do Dolphin Pose. Side Plank ignites arm power while building core strength. Springtime is a good time to stoke the fire in the core, because it often gets dull during the transition from cold winter to rainy spring. Side Plank also helps boost the fire of metabolism, which helps reduce puffiness and water retention (common signs of excess kapha dosha). Sustain the pose for 10 long, deep breaths. Learn how to do Side Plank. Revolved Chair Pose works this lovely twist to wring out clutter and congestion in the abdominal region, while opening the chest (the lungs and the stomach are the seats of kapha and often feel bogged down during early spring). Go back and forth side to side three times per side, holding for three long, deep breaths on each side, like youre wringing out a sponge. Deepen your breath and enjoy the purifying heart! Learn how to do Revolved Chair Pose. Primary prevention: The main goal is to prevent diseases. For this purpose immunization is used in modern medicine. Starting from childhood until a certain age, vaccinations and similar precautions have been adopted but these are useful to a limited extent. There are specific vaccinations for diseases like polio, measles, hepatitis and so on, but in some cases polio and measles occur even after the vaccination. As has been mentioned earlier, Ayurveda, yoga and natural medicine are not only a medicine system but are the best and most scientifically examined system of living life in harmony with nature. One who practices yoga regularly and takes Indian gooseberry (amvala), Tinospora (guducT), Holy basil (tulasT), Aloe vera and a group of vitality promoting herbs, Astavarga along with a natural lifestyle can stay free from disease almost entirely. This is a big achievement and eventually the whole universe will have to revert to this path. By following yoga, natural medicine and an Ayurvedic lifestyle, all the cells of the body and also the complete body remains balanced and controlled which promotes longevity; by means of meditation and self-control, one moves on the path of salvation as has been said by the great sages of India. By following yoga, Ayurveda and natural medicine we prevent the degeneration c” cells, tissues, internal organs and the complete body system and also provide strength, detoxification and equilibrium to the receptors of every cell from genes and chromosomes to life itself, in a natural way. In this way we protect the body from degenerative lifestyle diseases and also make the body youthful, energetic, healthy and productive. It is the science that keeps away disease, aging and death. The primary aim of Ayurveda is to safeguard the health of a person, emphasizing the approach of healthy living by adapting a lifestyle and diet according to the seasons and following a disciplined daily regimen. When it comes to hereditary disorders we have successfully treated those who have suffered from birth from hypertension or bronchial asthma and have also protected people at risk of genetic abnormalities. In view of medical science, this is our great experience and achievement and it can be a great boon for the world. If there is any system that can achieve primary prevention of diseases close to hundred percent, it is only Ayurveda. Yoga and natural medicine are parts of Ayurvedic treatment system. Secondary prevention: The main aim of secondary prevention is that if a person had a history of myocardial infarction, hemorrhagic stroke or status asthmaticus and such conditions, medicines should be given which do not let the disease recur and also to complete this goal Ayurveda is more effective. As in the case of myocardial infarction, there are seven main causes including hypertension, diabetes, high cholesterol, obesity, tobacco and use of narcotics, lack of physical activity and hereditary causes.To some extent these causes can be controlled by modern medicine but Ayurvedic treatment has long term success and is effective permanently. Control: In this context, modern medicine is more effective than Ayurveda under certain conditions such as bacterial, viral and other infections. However, high cholesterol level, hypertension, diabetes and other such disorders can be controlled in both ways. Cure: The number of diseases that can be completely cured by modern medicine are very few like chronic infections such as tuberculosis, injuries and those needing surgical intervention. Ayurveda can completely cure diseases from dengue, hepatitis, colitis, pancreatitis, chronic bronchitis, arthritis, psoriasis and migraine to cancer and many other diseases. In the complete cure of disease Ayurveda plays an important role. Acute management: In myocardial infarction, hemorrhagic strokes or in case of any accident, traumatic and surgical condition, modern treatment method is more effective. Ayurveda needs to focus more on research in this field. 6-7. Rehabilitation and Palliation: In rehabilitation and palliation, both of these treatment methods are very effective. Ayurvedic treatment is one thousand years old, easy, simple, authentic, safe and a scientific heritage of Indian saints. We can preserve our culture by making use of Ayurvedic treatment. By adopting Ayurveda in life one can achieve an easy, healthy, and natural life and also benefit from the ancient, rich cultural philosophy and ideology. This content is original and written for Optimal Wellness Arizona. For more information contact Sharmane Solomon of Optimal Wellness Arizona. The list of benefits found in ‘holy basil’ seem to be endless according to this article. This herb not only bring anti-aging, detoxifying and immunizing properties, but it is also used in Ayurveda! The article below dives into all of the benefits you feel if you consume holy basil. Read more to understand the benefits! Holy basil, also known as tulsi, Ocimum sanctum or Ocimum tenuiflorum, is a sacred plant to many Hindus, and is used in a wide variety of religious contexts. It is also an important herb in Ayurveda, or traditional Indian medicine. Although the plant has been used in Ayurveda for centuries, Western herbalists and scientists are only just beginning to understand the powerful benefits of this anti-aging, detoxifying herb. In Ayurveda, holy basil is used to support immunity, aid detoxification, modulate stress and slow aging. In Western herbalism, the plant is known as an adaptogen, or a plant that increases the bodys resistance to a wide variety of environmental stressors, rather than having only a few specific effects (such as lowering blood pressure, for example). According to Ayurveda, holy basil can be used to boost mood, stamina and endurance by filling the body with a calming energy. It can help speed up slowed digestion or free up suppressed emotions. Studies suggest that some of holy basils benefits come from its ability to help the body regulate its levels of cortisol, which is sometimes called the stress hormone. Released during times of stress, cortisol activates many components of the sympathetic nervous system, also known as the fight or flight response. While this response is important in times of crisis, it is hard on the body over time, and cortisol has been linked to many of the negative health effects of chronic stress. Holy basils effects on cortisol may partially explain its traditional use in Ayurveda to soothe emotional and digestive upset. Cortisol can also suppress the immune system, a condition holy basil is also used to treat. The herbs much-lauded anti-aging effects may come in part from its high antioxidant activity. Researchers believe that many of the effects of aging come from cell and DNA damage caused by chemicals known as free radicals; antioxidants help remove free radicals from the body. Holy basils antioxidant effects likely make it a powerful cancer preventive, as cancer is one of the many health conditions linked to free radical damage. A 2007 study from the Journal of Medicinal Food further suggests that holy basil may also exhibit direct anticancer activity. In that study, cancer was induced in rats, who were then treated with varying doses of holy basil leaf extract. At concentrations of 300 mg per kg of body weight, the extract reduced cancer cell formation, oxidative damage to proteins and fats, and levels of enzymes responsible for producing further toxic effects in the body. Holy basil may also be good for the skin, perhaps due to potent antimicrobial activity. A study published in the International Journal of Cosmetic Science in 2006 compared the effects of holy basil, sweet basil (Ocimum basilicum, the type commonly used in Western cooking), and hoary basil (Ocimum americanum) on bacteria believed to be the cause of acne. The researchers found that both holy basil and sweet basil showed significant antimicrobial effects. One in five U.S. adults suffer from arthritis, a term used to describe inflammation of the joints. Arthritis, which can be caused by a variety of widely differing health conditions, is the number one cause of disability in the United States. Because there is no cure for arthritis, the condition is typically treated with over-the-counter or prescription painkillers and anti-inflammatories (underlying health conditions, such as autoimmune disorders, may have their own treatments). But as with all pharmaceuticals, these drugs can carry side effects or even serious risks, particularly if used long term. Many essential oils have overlapping effects, so you can either choose the oil that you best like the smell of (or that is least expensive or easiest to find), or you can combine multiple oils to boost their effectiveness, or both. Eucalyptus oil is a natural topical analgesic, which is why it is included as an ingredient in many medicated chest and muscle rubs. Part of its painkilling power may come from its effect of dilating blood vessels and increasing circulation  which also promotes the bodys natural healing processes. Peppermint oil contains menthol, another common ingredient in medicated chest and muscle rubs. Menthol and other peppermint oil components are anti-inflammatories, thus helping bring down the pain and swelling associated with arthritis. 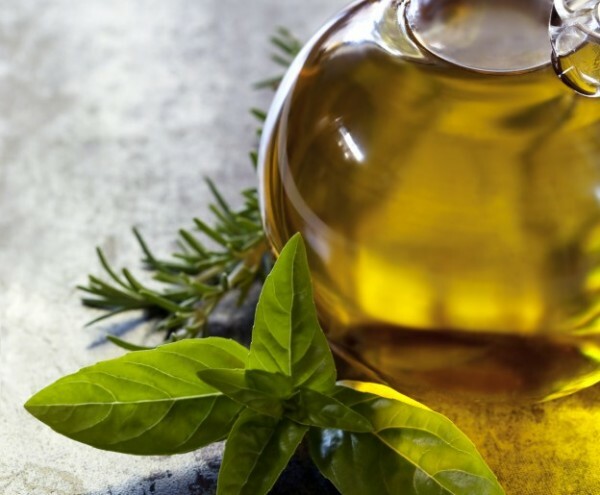 Rosemary oil combines many of the properties of eucalyptus and peppermint oils. It is an analgesic, anti-inflammatory and anti-spasmodic that also helps improve circulation. Birch oil is also anti-inflammatory and anti-spasmodic. It also contains the painkillers methyl salicylate and salicylic acid, chemicals closely related to aspirin. Like most essential oils, birch is also a potent antiseptic. The final oil on the list is not a painkiller or anti-inflammatory, and is better known for its effects on mood: lavender. But like eucalyptus and rosemary oil, lavender oil helps increase circulation, which leads to improved healing and reduced pain. Lavenders ability to promote calm, relaxation and sleep also help mobilize your bodys natural healing abilities. With only a very few exceptions, essential oils should never be applied directly to the skin. Instead, they should be mixed with a carrier oil such as jojoba, sesame, olive or sweet almond. These can be food-grade oils from your grocery store, or cosmetics-grade oils purchased from a natural health or grocery store. One of the best essential oil treatments for arthritis is a full-body bath soak. This consists of taking a few drops of essential oils, mixing them into a small amount of carrier oil, then pouring the entire mixture into a bathtub full of hot water. If you want, you can also add 2 to 3 cups of Epsom salts for added effectiveness. If you want a more focused treatment on a particular part of your body, you can simply use your essential oil-carrier oil blend (about 10 drops essential oil per ounce of carrier oil) as a massage oil, and apply it directly to the troublesome spot. Or you can mix 4 drops of essential oil directly into a pint of either hot or icy water, to use for a hot or cold compress. Soak up the water-oil blend with a small towel, then apply the compress to the painful area for 15 to 20 minutes, or until the compress has reached body temperature. Heat is recommended by most health professionals for maximum promotion of blood flow and the bodys natural healing processes. Cold, however, can provide more short-term relief by temporarily reducing pain and swelling. To get the benefits of both, you can alternate between hot and cold compresses. Because essential oils are biologically active, it is possible for them to interact negatively with certain pharmaceutical drugs. If you are taking any arthritis medication, consult with a qualified health professional before mixing pharmaceutical and essential oil therapies. See more news about natural medicine and natural cures at CURES.news.